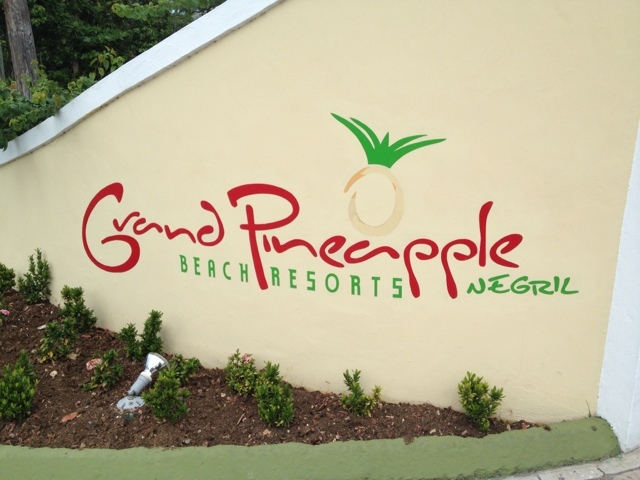 Known as the cutest little resort in Caribbean, welcome to Grand Pineapple Negril! Although small in size, it's huge in character! They have used over 40 different colors around the property including their beach front cottages to their manor side garden rooms. 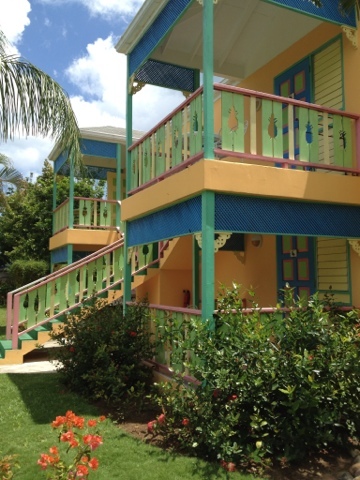 This property truly showcases the original vibe of the Caribbean with colors that just make you smile and cottages that remind you of doll houses. So many resorts are muting their colors or becoming more modern and if this what you like, trust me, you will not like it here. 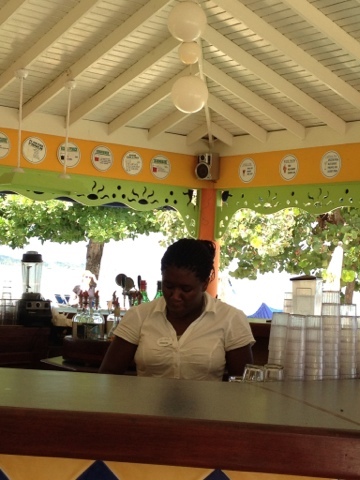 However, if you like authentic charm, jerk chicken and that amazing Seven Mile Beach, this just might be the best kept secret yet! The property only has one restaurant, however, each evening it features a different theme which can make it feel like in fact there are seven restaurants. They have one bar on property as well, but they have the cutest decor inside which subliminally challenges you to try to drink your way around the bar during your stay. The walls are adorned with drink recipes from classics like Tom Collins or Shirley Temple to Dirty Banana or Jamaican Smile. What's your favorite vacation libation? People who stay here appreciate the fact that local cuisine is steps away via the beach or a short cab ride if they don't want to partake in theme night. If you like the local interaction or have a little bit of an explorer in you, this would be your place! They also have a spa here which is of the highest level of service, just like its cousin, Red Lane but, are you ready for this??? 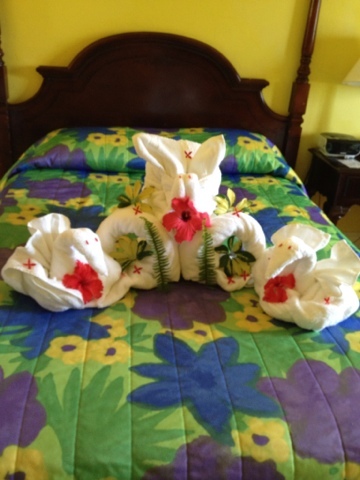 You can get the same treatments for about 40-60% less than the prices at Sandals or Beaches! Too much sun worshipping? There's a treatment for that. Need a post travel massage? Consider it done. 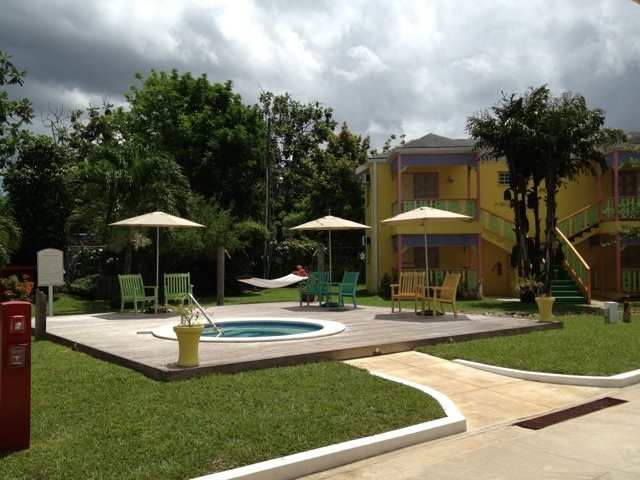 Didn't get a chance to squeeze in your mani or pedi among all the other prevacation duties? Relax....the girls have you covered. Keeping with the Sandals tradition, there are a myriad of room categories to choose from here. 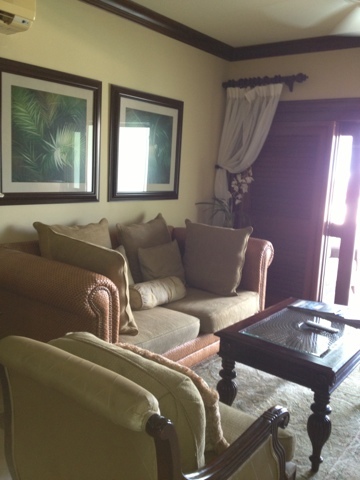 I was fortunate enough to have a beach front room with a balcony and concierge suite service. One of the perks of this room category is free wifi and a fully stocked liquor cabinet and fridge so I was able to FaceTime with family and show the view and even upload videos and photos to Facebook while sipping a glass of Beringer wine on my balcony. There are many nicer room categories to choose if you'd rather spend more quality time in the room; particularly for Honeymooners. I saw a two story loft suite complete with a spiral staircase to the Crystal Lagoon Swimup Suites which provide full access to the pool right from your room. 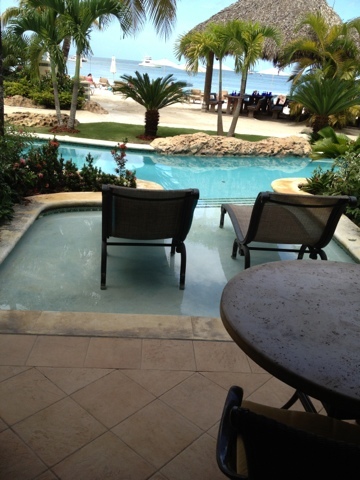 The creme de la creme was undoubtably the Millionaires Suite with private plunge pool, outdoor shower and Butler service! There are only four of these on the property and I can attest that they sell out quickly, so if you want that special room for that special occasion or someone, as always, book early! 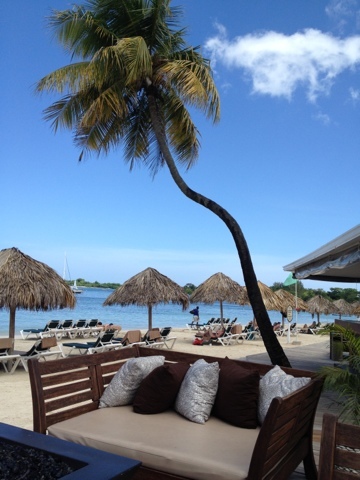 At Sandals, all the non motorized water sports are included. This includes aqua trikes, wind surfing, hobie cats, snorkeling to the all new and popular, paddle boarding. PADI certified divers can SCUBA for no additional charge. Not certified? No worries, 'Mon! Simply go through the resort certification for a nominal fee and you can explore under the sea all week long with a professional guide. 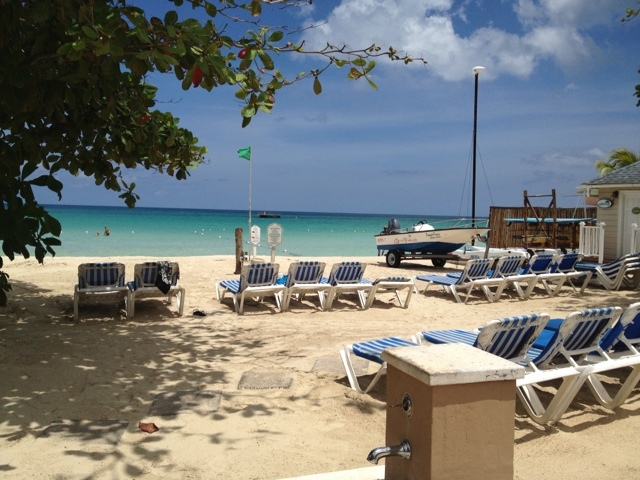 Negril has the some of the best dive sites on the island. I spoke with a couple who dove and saw octopus, dolphins, sea cucumbers and other species I had never heard of before. Sounds exciting, doesn't it?